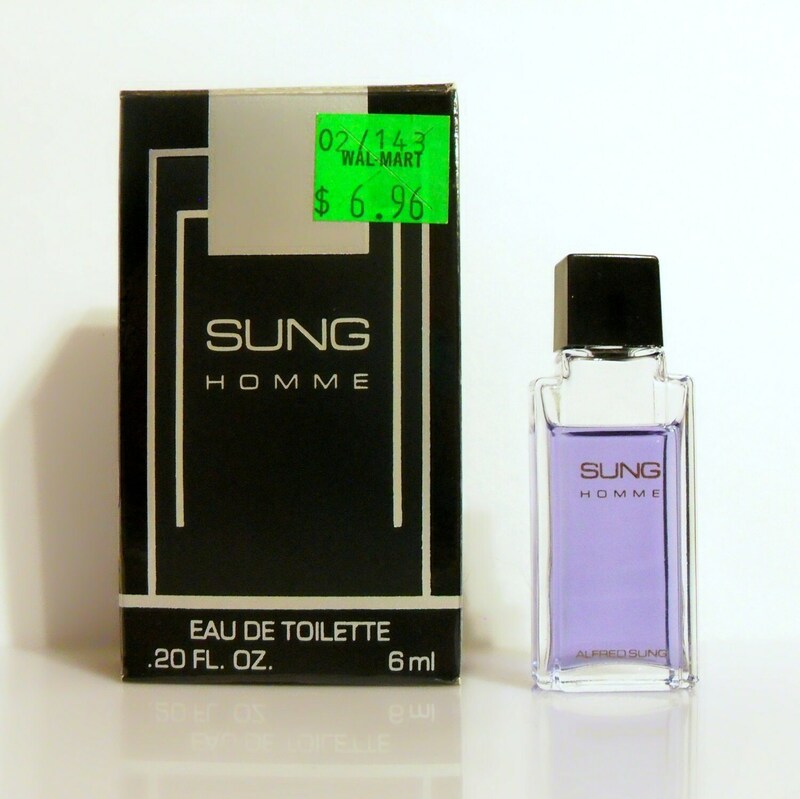 Vintage 1980s Sung Homme by Alfred Sung 0.20 oz Eau de Toilette Mini Cologne and Box. The bottle is about 80% full - please see picture for actual fill line. The cologne is old and no longer fresh. Launched in 1989, Sung Homme is classified as an aromatic fougere fragrance for men.